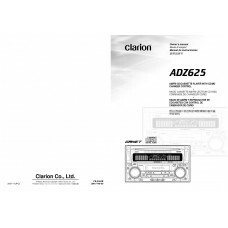 Specifications Clarion AB243R TUNER SECTION Frequency Bands FM: (MHz) 0.05 MHz steps 87.5 to 108 .. 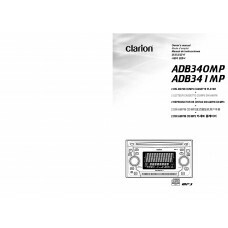 Specifications Clarion ADB340MPSpectrum AnalyzerMAGNA BASS EX Dynamic Bass Enhancement3-Band Graphic.. 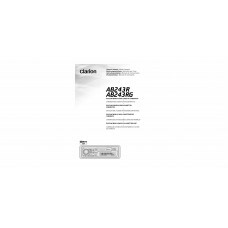 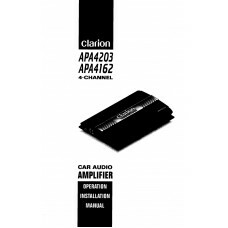 Specifications Clarion ADB341MP18 FM, 6 AM station presets4-channel × 50 watts amplification3-band g.. 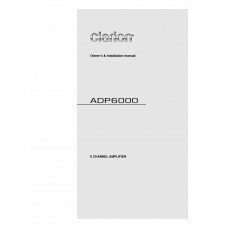 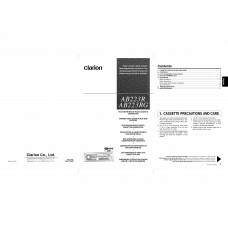 Specifications Clarion ADP6000Power supplyVoltage 11 ~ 15 VDCMinimum idling current 1.9 AIdling curr.. 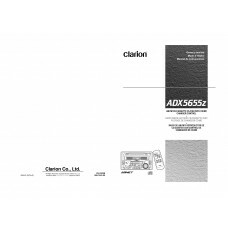 Specifications Clarion ADX5655FM TunerFrequency Range:87.9 MHz to 107.9 MHzUsable Sensitivity:11 dBf.. 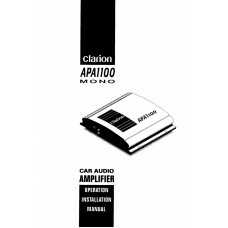 Specifications Clarion ADX5655zFM TunerFrequency Range:87.9 MHz to 107.9 MHzUsable Sensitivity:11 dB..
Clarion ADZ625 Car Receiver User Manual..
Clarion APA1100 Car Audio Amplifier User Manual..
Clarion APA1200 Car Audio Amplifier User Manual.. 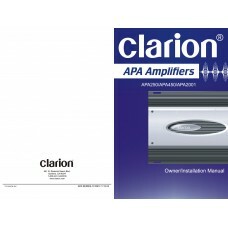 Specifications Clarion APA2001 Continuous Power Output(20 ~ 20,000 Hz, 4) 200 W × 1(1-ch. 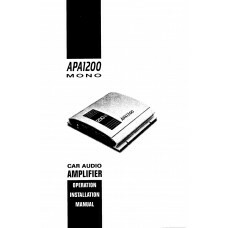 operation).. 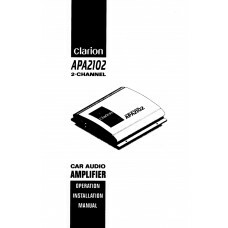 Specifications Clarion APA250Maximum Power Output 200 WattsContinuous Average Power Output 100 Watts..